Feel like taking a trip to the Mile High City? We’ve got you covered. We searched the internet high and low for the best hotels Denver has to offer. With rooftop pools, Rocky Mountain views and full service spas, we’ve made sure it’s not just the altitude making you feel light-headed. 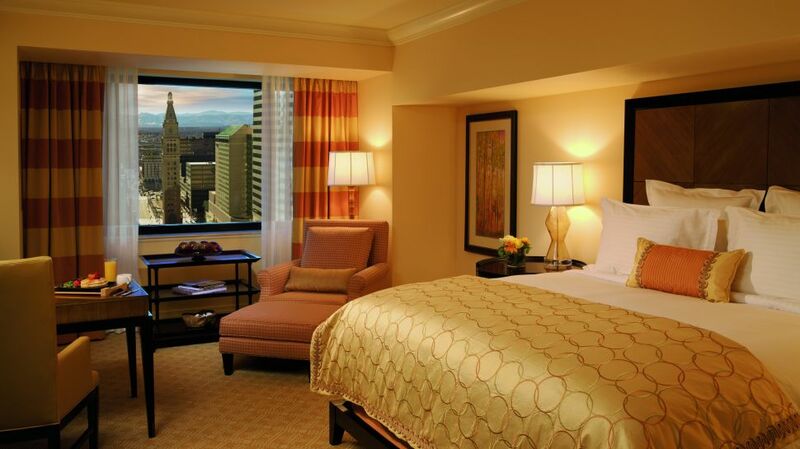 Here’s our list of the top 8 Denver hotels. Located steps away from the Denver Center for Performing Arts, the 16th Street Mall, Larimer Square and LoDo, this boutique hotel is ideal for downtown stays. The historic building makes for a unique experience with “the grandeur of yesterday with the modern conveniences available today.” Guests enjoy cherry wood desks and Indonesian sandstone with their high definition LCD TV’s and deep soaking oversized tubs. Rated number one on TripAdvisor, this downtown high-rise is definitely doing something right. 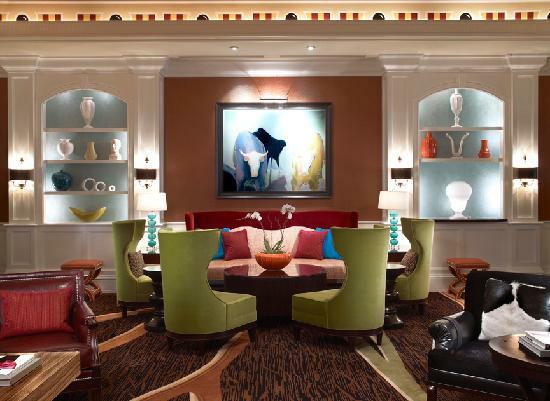 The hotel offers over 1,200 works of art, 90% of them by Denver locals. And with a rooftop pool, spa, restaurant and bar, the standard luxury amenities are all intact. The Four Seasons mixed up their classic approach to suit Denver’s more modern style. Experience a different side of Denver apart from downtown in the upscale and quaint neighborhood of Cherry Creek. Guests are right by located near attractions like the Denver Zoo and the Denver Art Museum while still being just minutes from downtown. This historic hotel has accommodated nearly every president of the past century, making it a Denver staple. Check out the Eisenhower, Roosevelt and Reagan suite to get a glimpse of their presidential treatment. Or live out your rock star fantasies in the Beatles Suite where John, Paul, Ringo and George once stayed. Try a taste of their award-winning Italian restaurant Panzano. Once your appetites satisfied get pampered by their VEDA Salon & Spa. After getting all gussied up head out for a night on the town with local restaurants and bars right outside your door step. 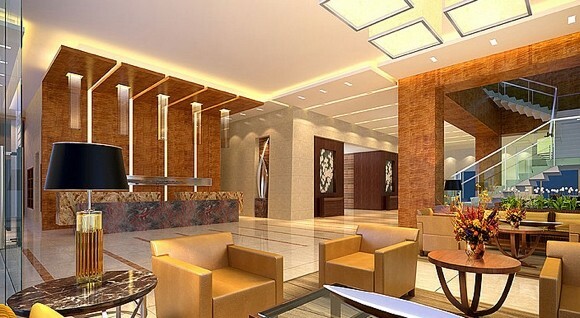 Get the standard Ritz Carlton glitz without the expensive price tag. Guests can experience in-room luxury with featherbeds, a cappuccino maker, light sensors and Plush Frette terry robes, while paying less than the average Ritz Carlton price found in other cities. 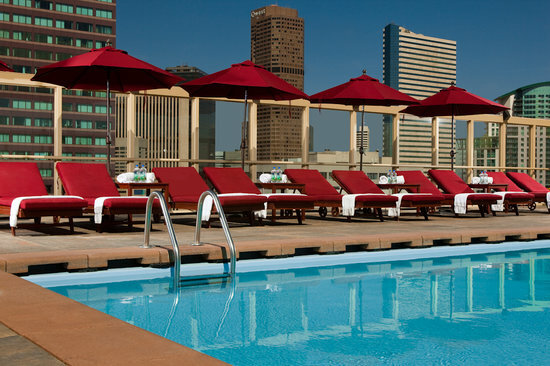 Dive into the heated pool in the middle of January and soak in that panoramic Rocky Mountain view. Or enjoy the scenery from your own room with a private balcony, 300 thread satin striped sheets, marble bathroom and floor to ceiling glass doors. Steps away from the Colorado Convention Center. This hotel offers an express self check-out machine that lets you avoid the lines. With hotels that have scenic views and access to a lively downtown scene, Denver is not the kind of city you want to skimp on your stay. So take your next trip to the Mile High City to brand new heights at one of these top Denver hotels. And be sure to book the smart way with Hotel Engine.